To be or not to be, Shakespeare? George Sumner is an environmental impressionist painter, specializing in ocean scenes. 20 years ago you would have found his work in galleries across America including Hawaii. In fact, 20 years ago, you couldn’t have visited the island chain without tripping over a painting or lithograph of his. His popularity has waned over the years and now his work is limited to Northern California. My mother fell in love with his work during the height of his popularity. She had a condo in Hawaii that was decorated with his lithographs. An art dealer, sensing a true patron, got her in touch with Somner’s ex-wife. The ex had a painting of his for sale. It was a painting that wasn’t cataloged as he had painted for his wife, now ex-wife. My mother jumped at the chance to own a one of a kind piece of work. A piece that was never reprinted for sale; very few people know it even exists. After my mother tired of it (it’s huge and doesn’t fit in her scaled down lifestyle) she sold it to another collector who was also happy to have a one of a kind piece. Now, let’s say that collector keeps it in the family for several generations, and in, let’s say 100 years from now, Sumner is popular once again. Can you imagine the thrill the art world would feel if the owner of the piece comes forward with this unknown painting? The origin story makes the piece all that more interesting. These things happen. Just recently there’s been a discovery of a previously unknown Van Gogh. A Rembrandt scholar thinks he has found 70 misidentified paintings. Who knows how many unknown or misidentified works of art are waiting to be found? How many are actually hidden in plain sight? According to the latest edition of Country Magazine, a botanist found a book that contains a picture of Shakespeare hidden in plain sight. The article in Country Magazine makes the claim that what they have, reveals an astonishing new image of William Shakespeare, the first and only known demonstrably authentic portrait of the world’s greatest writer made in his lifetime. 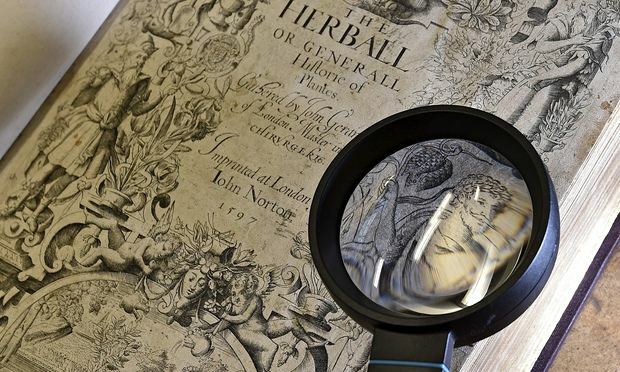 Botanist and historian Mark Griffiths reveals in this week’s issue of Country Life magazine, how he cracked a many-layered Tudor code and revealed the living face of Shakespeare for the first time, on the title page of The Herball by John Gerard, a 16th century book on plants, 400 years after it was first published. Upon reading this my first thought was, “Oh great, another code cracker. Had Griffiths read one too many Dan Brown novels?” But of course I had to keep an open mind, so I spent a few hours reading the various takes on what Country Magazine calls “the find of the century”. He goes on to suggest, the man in the portrait is holding an ear of sweetcorn, a fleur-de-lys and a fritillary (a flower of the lily family) in references to Titus Andronicus, Henry VI Part I and Venus and Adonis respectively. Now that’s some code! No wonder no one else in 400 years has pointed to this as Shakespeare. It makes me wonder what Mr. Botanist smokes in his spare time. Just for fun I consulted a couple of my Latin dictionaries to see if indeed quatere translates into “to shake”. I found out that there are several Latin words that translate into shake, depending on the context, but only one that means “to shake”; Exhorresco. Quarter translates into 4. But my dictionaries could be wrong…. John Overholt, a Harvard scholar says, not so fast. This same “code” or device is nothing more than a printer’s mark. He has found the same code listed as a printer’s mark in the William and John Norton Compendium of Printer’s Stamps, published in 1749. Oxford Professor Edward Wilson, who backs up Griffiths’ claim, quipped back that the Nortons must have made an error in judgment in saying that this is a printer’s mark. Easy to say when the men in question have been dead for over 300 years and can’t defend themselves. Many Shakespeare scholars think that what Griffiths has come up with is utter nonsense. Micheal Dobbs and Paul Edmonson both laugh at the idea. While I want to keep an open mind, I am on the side of scholars for a couple of reasons. If this is a code, it’s a pretty far-reaching one. If this truly is supposed to be Shakespeare, why go to such lengths to hide it? Why not make it obvious for all to see? Second, even if this is a depiction of Shakespeare, it isn’t self evident that this is a true to life likeness. For all we know it may be the artist’s interpretation of what he thinks the great poet is supposed to look like. It is a big leap to say this might be a nod to Shakespeare and a monumental leap to say this is the only known demonstrably authentic portrait of the world’s greatest writer made in his lifetime, as Country Life is claiming. 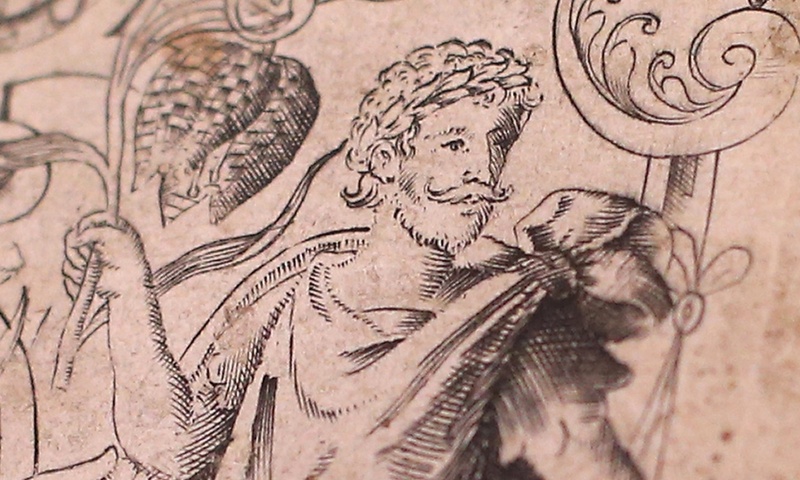 We aren’t exactly sure what Shakespeare looked like. The only known authentic likenesses of Shakespeare are found in the First Folio and on the effigy on his monument at Holy Trinity church in Stratford-upon-Avon. Both of these were commissioned posthumously. Ah, and there’s the rub. Is this to be or not to be a realistic picture of the young playwright? We may never know. But, I am betting against it, as Country Life has made a far greater claim, one that should have been the lead story. Next week they are going to present us with a newly discovered play penned by non-other than Shakespeare! I smell a book deal in the works. I’m going to date myself by mentioning that my first “lost Shakespeare” experience was the episode “The King of Denmark” in the TV series “The Name of the Game.” Supposedly, an early version of “Hamlet” in Shakespeare’s handwriting may exist . . . but will trying to find it kill an intrepid research assistant? Oh my friend, this is going to hurt..no easy way to say it. I was too young to remember this show, but now I want to see it.